GitHub - Anubisss/costello: A simple personal project to try out React. Want to be notified of new releases in Anubisss/costello? 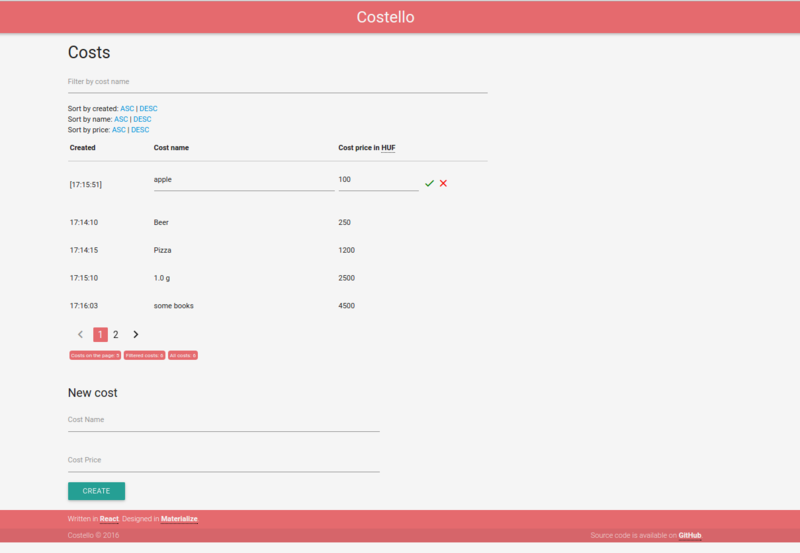 Costello is a simple personal project. Note: the app is tested with only Google Chrome Version 52.0.2743.82 (64-bit). If you want to build the app just follow these steps. All of the minified code with the dependencies will be in the build directory just open the index.html to try out.